Sweaty Pits - Pity Party! Two friends decide to follow their dream of creating a sketch show that encapsulates their messages of equality, frustration, and love... while still being incredibly silly. But among the several costume changes, the squirting citrus, the '80s aerobics, and the magic mike strip routines...they realise their dream might be a little out of reach. It's comedy, it’s burlesque, it's slap stick, it's heartfelt...it's harder than they thought. A sketch show for those who question what they are doing with their lives and then do it anyway. 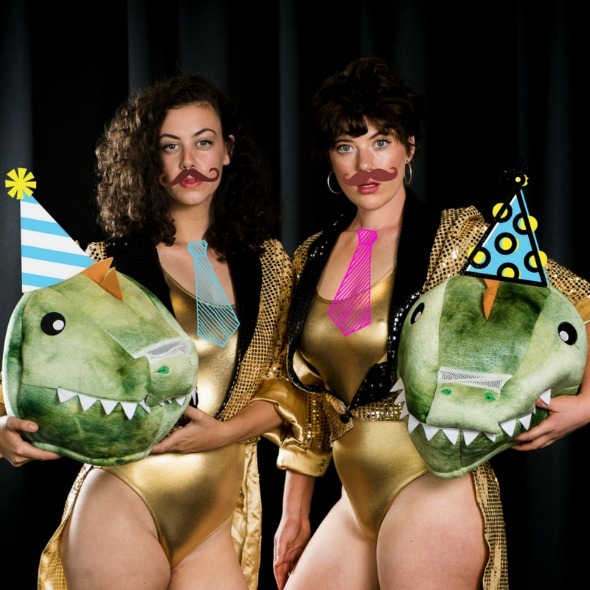 Sweaty Pits' PITY PARTY was nominated for "Best Comedy" at the 2018 Melbourne Fringe Festival and won the "New Zealand Tour Ready Award" at the 2018 Sydney Fringe Festival. They have sold out shows and performed at arts festivals across Australia such as; Floriade Fringe Festival, YOU ARE HERE, Art Not Apart, Sydney Fringe Festival, and Melbourne Fringe Festival. Sweaty Pits is made up of Frankie McNair and Miriam Slater. Their writing is a cocktail of serious social issues and absurd comedy, tackling the issues they hold dear to their hearts with a positive and energetic energy, leaving the audience with a belly full of laughs as well as a message.